Andrew Wright will be launching important new projects as part of a new Ottawa-wide exhibition curated by Celina Jeffery, Chair, Visual Arts Department, University of Ottawa. 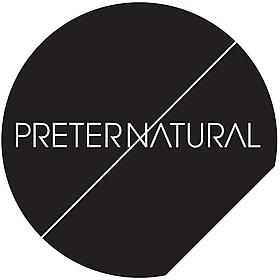 Comprising of three exhibitions at venues across Ottawa—the Museum of Nature, St. Brigid's Centre for the Arts, and the Patrick Mikhail Gallery—Preternatural seeks to explore the boundaries of the natural and the liminal space where the natural and unnatural collide. The exhibitions will be accompanied by a catalogue published by Punctum, featuring the essays Beyond Nature by Celina Jeffery and Wilderness Ontology by Levi R. Bryant. Nox Borealis, a series of four oversized photographic images shot on the Arctic Tundra of Baffin Island, attempts to recreate a diorama at almost one-to-one scale. Our sense of place is always mediated by our environment and geographic scale. The images in the project acknowledge the profound sense of disorientation one experiences when facing spaces so vast that they are difficult to look at, let alone understand. The dominant blackness in the images presents us with both the endless space of the Arctic night (and day), and the physical experience of a pearlescent photographic surface. Nox Borealis both reinforces and questions photography’s ability to evoke other places, and reminds us that the experience of looking at nature always influenced by our perceptions of what is real and what is artificial. Andrew Wright’s artistic practice is multifarious and is characterized by breadth as much as it is by depth. Central to his inquiries are lens-based technologies and photographic techniques. His work functions as a series of visual inquiries at the heart of a practice that is exploratory and experimental. With interests in perception, photographic structures and technologies, and the ways we relate to an essentially mediated and primarily visual world, Wright employs simple phenomena to reinterpret, reinvestigate, and re-present. Andrew Wright's work has appeared in exhibitions across Canada, Spain, Germany, the U.S., and the U.K. Essays, reviews, and illustrated discourses have appeared in publications such as Canadian Art, Border Crossings, PREFIX PHOTO, The National Post, and the Globe and Mail. His works are in private and corporate collections, as well as in the collections of the Canada Council Art Bank, Kitchener-Waterloo Art Gallery, Ernst & Young, Royal Bank of Canada, and Museums London. He has been nominated for the Sobey Art Award five times and was a semi-finalist in 2007. Other honours include an Ontario Volunteer Service Award, and the Ernst & Young Great Canadian Printmaking Prize in 2001. He has received grants from numerous funding organizations including the Canada Foundation for Innovation, the Ontario Arts Council, and the Canada Council for the Arts. Mr. Wright has a Masters of Fine Arts, Concentration in Sculpture, Photography and Installation, from the University of Windsor; an Honours Bachelor of Art, Visual Art and Art History, from the University of Toronto; and a Diploma in Studio Art, from Sheridan College. He is currently an Assistant Professor in the Department of Visual Arts at the University of Ottawa. Saturday, December 10, 2011, 2 p.m.
Thursday, December 15, 2011, 2 p.m.
Saturday, December 17, 2011, 2 p.m. In Handel's Cloud, Adrian Göllner portrays ecclesiastical music in smoke. Appearing to emanate from the very shape and structure of St. Brigid’s vaulted ceiling, puffs of white smoke plume and dissipate in time to a greatly slowed passage from Handel’s Messiah. Appropriate to the site and the season, the presentation of music as a mute echo of what had taken place in the church many years before suggests that the architecture itself has a memory. Adrian Göllner’s practice is increasingly conceptual. Known for his site-specific installations and chameleon-like adaptation to the environments in which he exhibits, Göllner combines graphing techniques and references to Modernism in artworks that critique our consumer culture and play with the conventions of abstraction. Over the past years, Göllner has received 19 public art commissions. Notable amongst these are the street lighting designs for the Vancouver 2010 Winter Olympic Games and an integrated sculpture for the new Canadian Embassy in Berlin, which was completed in 2005. Most recently, he received two major commissions from the Department of Foreign Affairs Canada to create artwork for the new Canadian Embassy in Moscow. Göllner’s work has been shown in solo and group exhibitions throughout Canada, the United States, Europe, and New Zealand. He is the recipient of numerous grants from the Canada Council for the Arts, Ontario Arts Council, and the City of Ottawa. His work can be found in a number of collections, including the Anglo-Irish Bank, the Department of Foreign Affairs, the Canadian War Museum, Ottawa Art Gallery, City of Ottawa art collection, Carleton University Art Gallery, National Gallery of Canada Library, Art Gallery of Ontario Library, and Agnes Etherington Art Centre. Reviews and critical discourses of his work have appeared in Canadian Art, Border Crossings, C Magazine, Parachute, Saturday Night, and the Sunday Times. In 2007, he was awarded the prestigious Canada Council for the Arts Residency in Port of Spain, Trinidad. Mr. Göllner received a B.F.A. from Queen's University in 1987 and is a member of the Royal Canadian Academy.